This pipe, like the Clay Pipe, will add items to an inventory before passing them down a pipe. 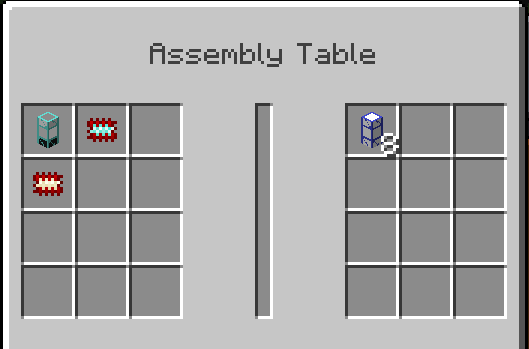 However, it will only add the item if there is some of it in the inventory already. It’s useful for making cheap and easy sorting systems. The Clay Pipe is great for making automated systems so that they can’t overflow. But, it falls short when you need to have more than one machine connected to a single pipe. 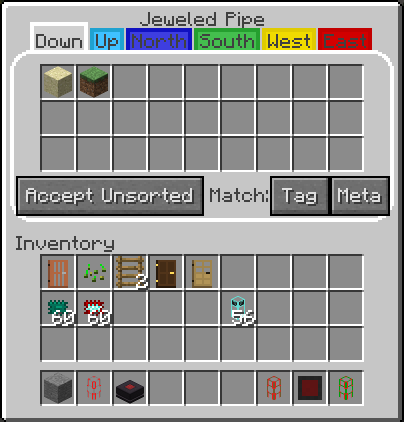 This pipe allows you to specify the order in which you would like the connected inventories filled. Instead of having a row of clay pipes, you can use just one of these. For example, if you want to fill one connected chest before another, just increase its priority in the GUI. 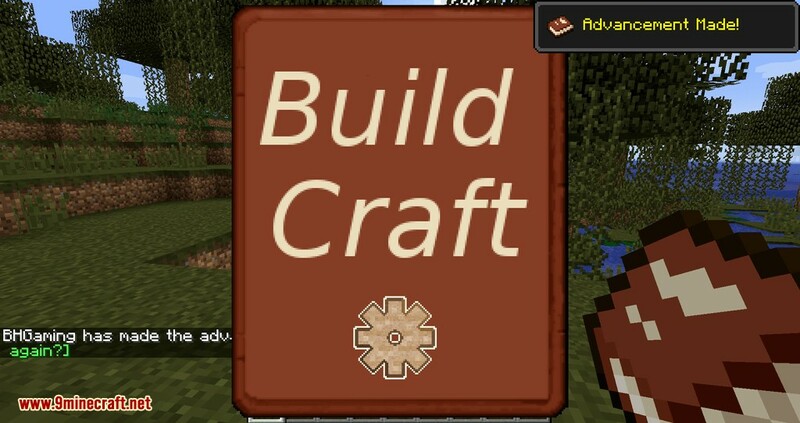 Buildcraft has long been missing a way to have a ratio of items between different outputs of a pipe, and this pipe provides it. For example, say you have a Forestry automated wheat farm, and you want it to generate seeds as well. However, it also needs to feed seeds back into itself to produce wheat. Normally, there wouldn’t be an easy way to take the correct amount of excess seeds. 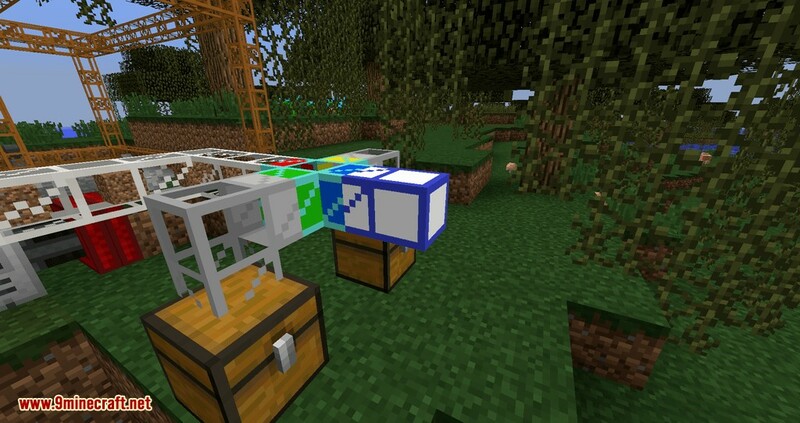 However, with the Distribution Pipe, you can set it to feed two seeds back into the farm and one to the output, and things will work correctly! The closed pipe is useful as a last-ditch override on a pipe system. 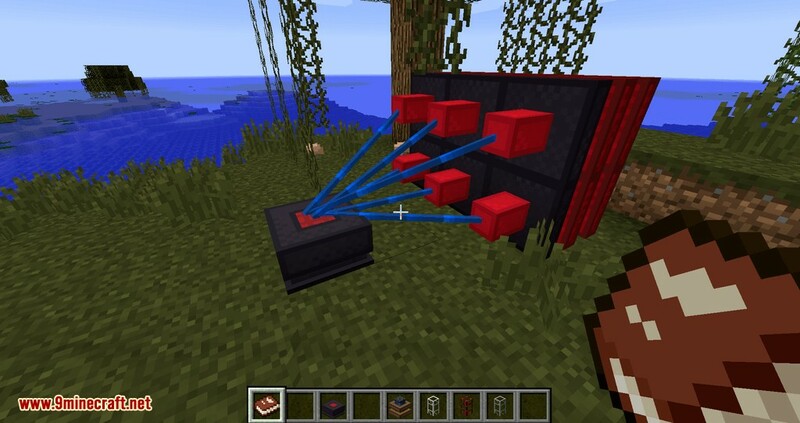 It works like a normal transport pipe, except that if an item has nowhere to go, instead of being dropped on the ground, they go into the pipe’s internal 9-stack inventory. When that gets full, they are deleted like a Void Pipe. 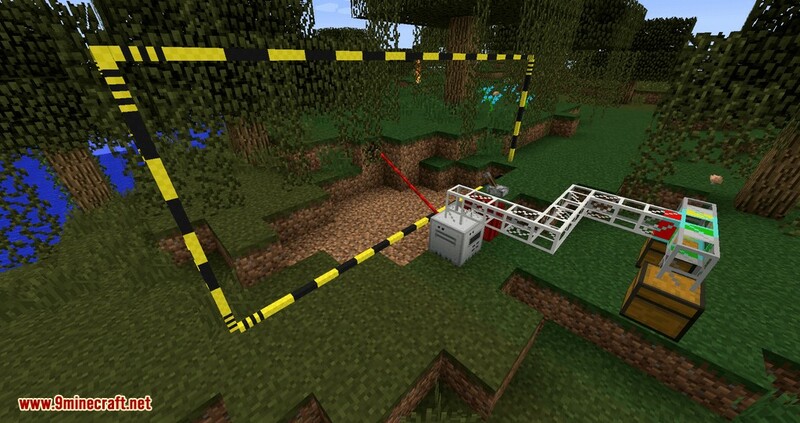 You can use gates to tell when this pipe is storing items. 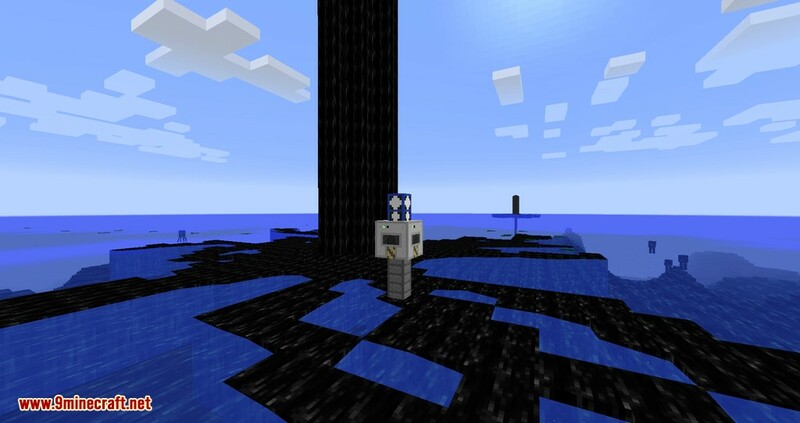 This is another pipe which kind of got absorbed into Buildcraft as the Emerald Pipe. It acts like a wooden pipe, however you can whitelist or blacklist certain items from being extracted. So, while it is cheaper that the Emerald Pipe, it lacks some of its functions. These were the first pipes ever added to the mod, and certainly the most well-known. 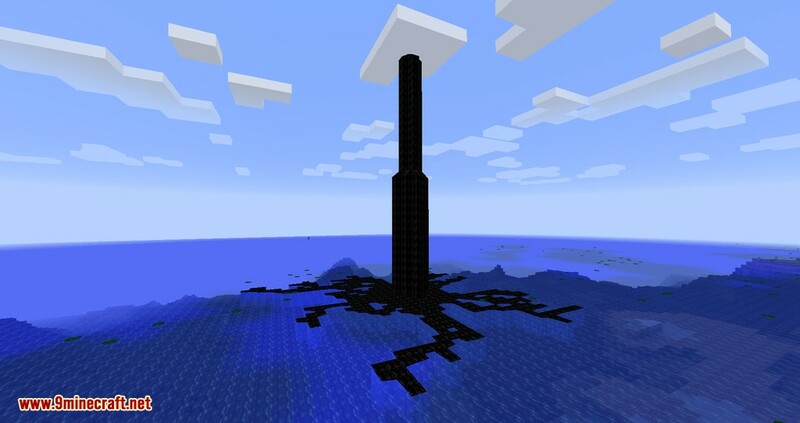 Instead of building huge pipelines, Teleport Pipes allow you to transport items, fluids, and power, and pipe signals across huge distances or even between dimensions. You assign a frequency to each one and can set it as public or private, so you can choose how your power and items are shared. 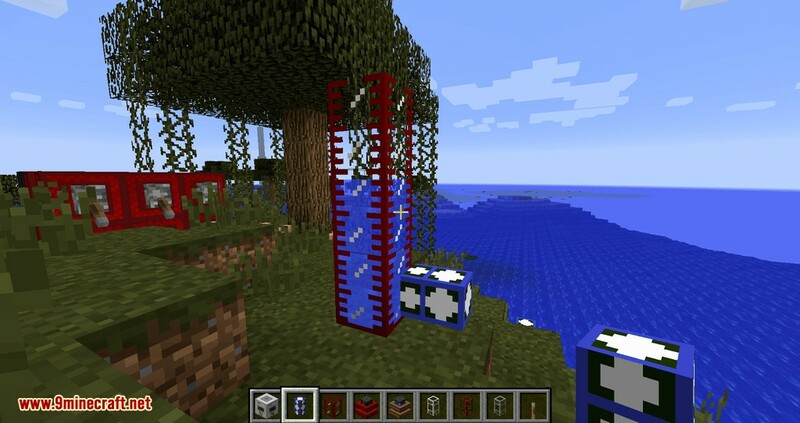 Also, in the 1.7.x and 1.8.x versions of the mod, pipes of the same type and frequency will share pipe wire signals with one another. 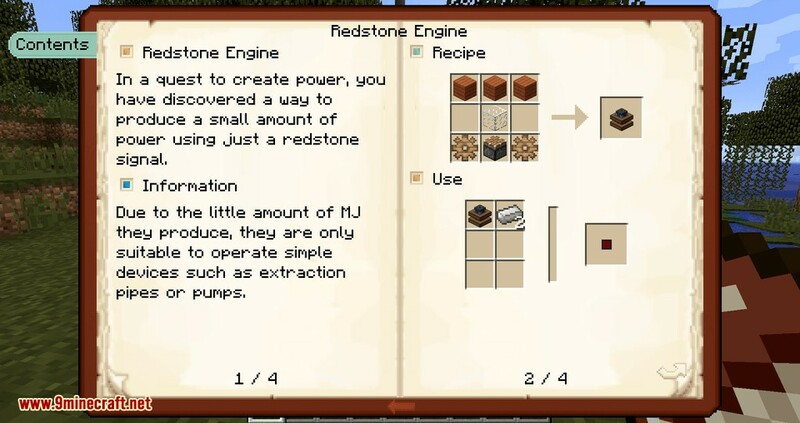 You can use it to switch your power plant in another dimension on or off! 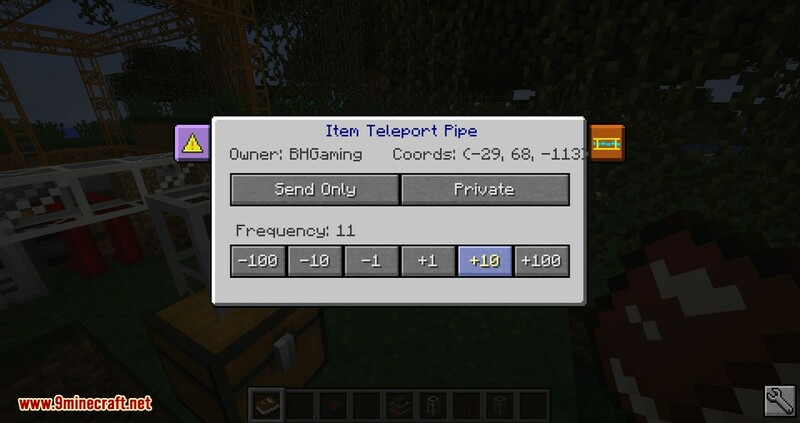 Power Teleport Pipe: 2560 RF/t (10% loss by default). The water pump pipe is a easy, reliable, low-lag way to pump water. 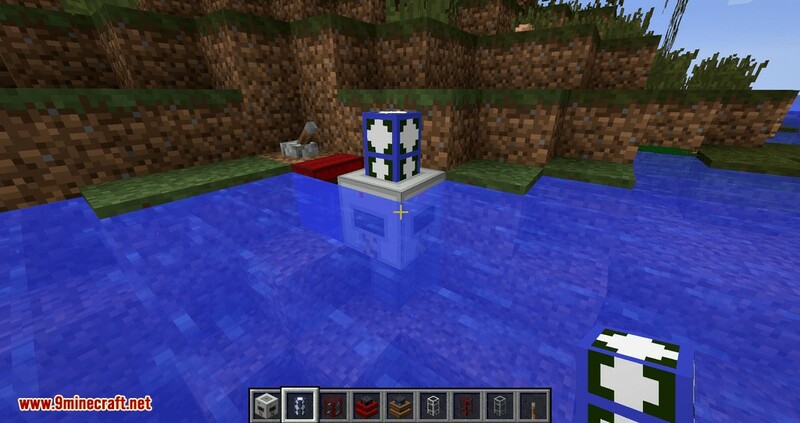 Instead of making a big 3×3 water source, a pump, and a bunch of redstone engines, just make one of these and place it over a single block of water. It will pump out 90MB of water per tick by default, likely more than you would get with the other setup and with much less lag. The switch pipe is a simple way to close off sections of a pipe system. 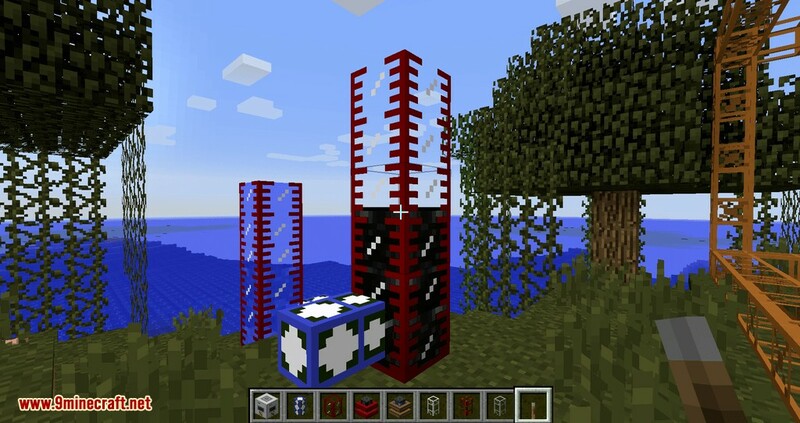 When it receives a redstone signal, it disconnects from pipes around it. 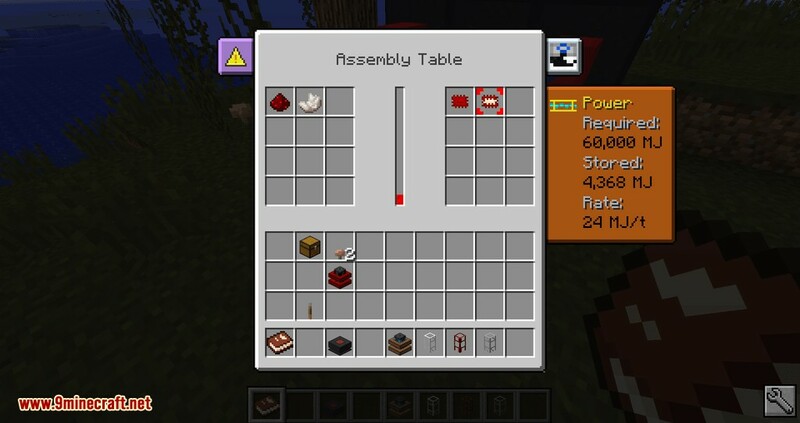 There are variants for items, fluids, and power. Gravity Feed Pipes pull items out of inventories without needing power. However, since they use the Power of Gravity™, they can only pull items from the bottoms of inventories. 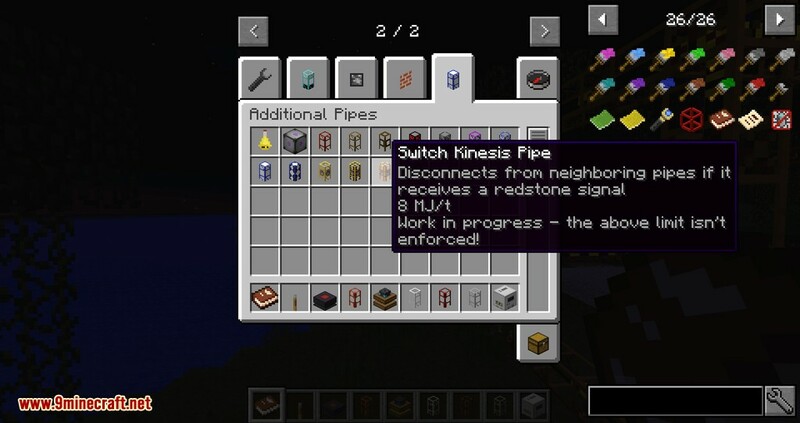 This pipe was added by request as a way to reduce lag in large factories caused by redstone engines. This pipe functions as a greatly improved Diamond Pipe. First of all, it has 27 slots per side, allowing for much more complex sorting systems. Like a diamond pipe, putting an item in one of these slots will cause all of the same item in the pipe to be directed to that side. 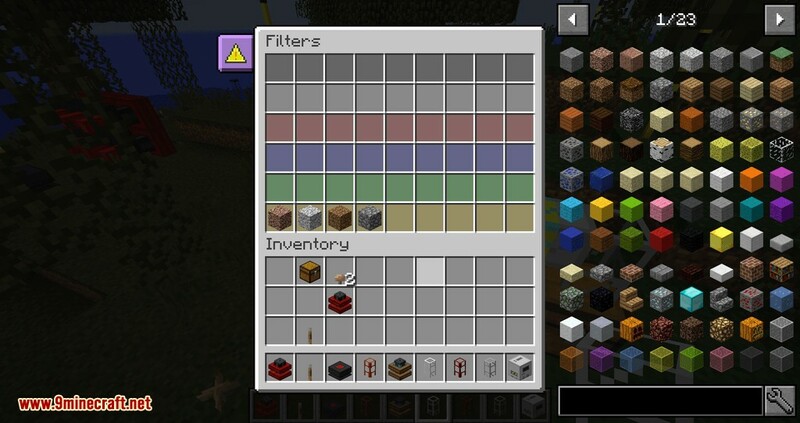 Each side has toggles which control whether the pipe will match metadata and/or NBT when filtering items. 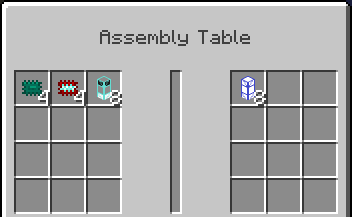 Finally, each side can be set to accept or deny unsorted items. If an item that enters the pipe is not in any of the sides, it will be sent to one of the sides with “Accept Unsorted” enabled. If no sides have that option enabled, the item will be routed randomly.